I love fresh seafood, cold drinks and live music. One place I enjoy all of these things is at Swordfish Grill and Tiki Bar on Sarasota Bay in Cortez Fl. 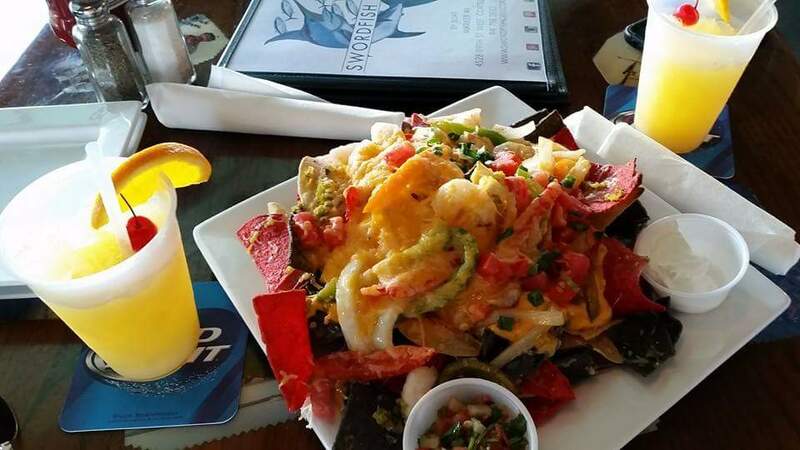 For starters, I get the Shrimp Fajita Nachos which are tricolor tortilla chips topped with fresh Gulf shrimp, cheese, jalapeños, tomatoes, scallions, grilled onions and peppers. To drink, I love the Cortez Cooler which is a rum and pineapple based drink. 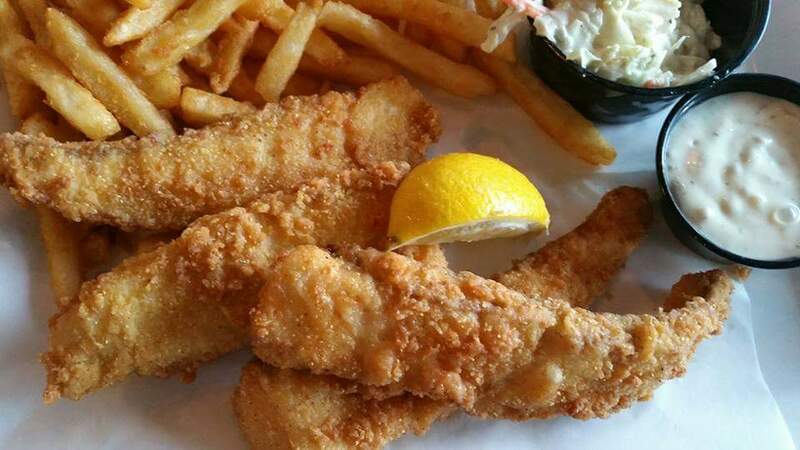 You can’t have just one… For dinner, I love several menu items, but one of my favorites is the Fried Cobia! This white flaky fish is battered and deep fried and oh sooo good! For my sides, I get the seasoned fries and the pineapple slaw. Top all of this with live music, a beautiful sunset, loved ones and good friends to share it with and you have a night made in heaven!